The Indira Gandhi International Airport in New Delhi is one of the busiest airports in the world, handling over 65 million passengers. 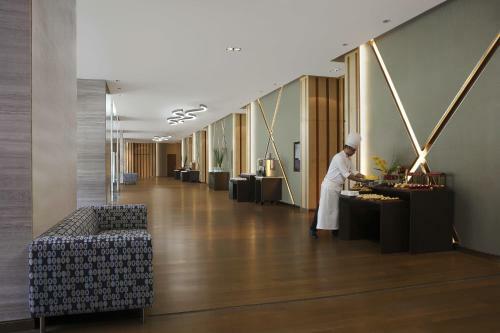 They offer a number of guest facilities including dining and shopping options, shared lounges, recharging station, bar, flight information, TV and internet station. You can also buy pretty much anything at the airport for they have a number of shops and restaurants available. if you’re traveling to New Delhi, get a hotel closest to the airport to save travel time. Here are our 10 recommendations for the best hotels in the area. Just scroll down for the list. 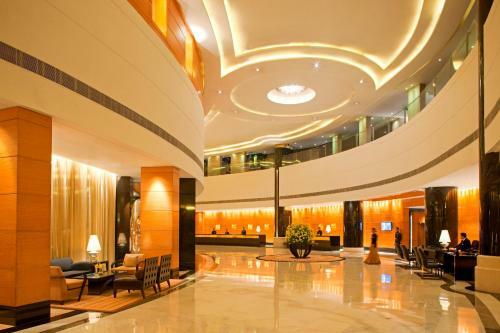 The Indira Gandhi International Airport is only seven minutes away from Novotel. All accommodations are air-conditioned and furnished with a satellite TV, mini-bar and a kettle. Food Exchange, an on-site restaurant, serves several cuisines and the hotel bar is open 24/7. Business travelers with iMacs can use the Web Corner to stay connected to the internet. Otherwise, they can use the wifi available throughout the hotel. If you want to explore nearby places, contact the hotel for they have car rental and a tour desk. Other hotel amenities include a health and wellness center, baggage storage and family rooms. Parking is free at Novotel. 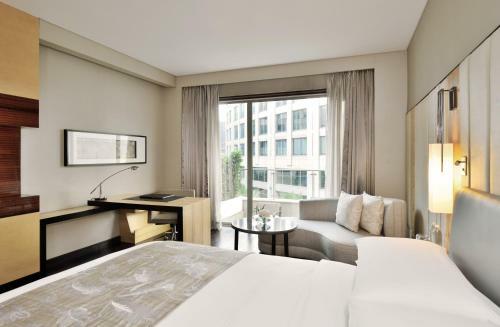 At Radisson Blu, guests get to stay in luxurious rooms with cable TV, mini-bar and wifi. DVDs may be available upon request. If you love food, the restaurant serves a buffet all day which includes biryani, kebabs and Indian bread. 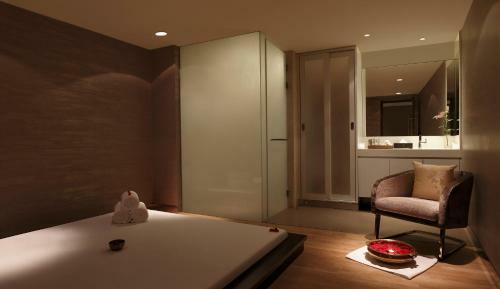 Guests get to try the spa that offers hydrotherapy treatments, facials and massages. All accommodations also include airport transfers – and the airport is only four minutes away from the hotel. The hotel also boasts an outdoor pool, a spa lounge or the relaxation area, a coffee shop and business centers. If you want to try other activities, try enrolling in a cooking class. 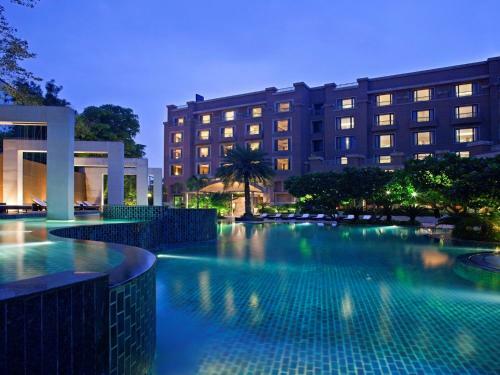 Located just seven minutes from the airport is the family-friendly JW Marriott Hotel in New Delhi. They offer babysitting services for busy businessmen traveling with kids. In fact, they have plenty of entertainment for the little ones – books, kids tv channels, music, DVDs, puzzles and board games. The kids certainly will enjoy them, especially if they are given kiddie meals and chocolates. They have a snack bar at the hotel; a multi-cuisine restaurant; Akira Back that serves Japanese dishes with a Korean touch; and a bakery shop that serves delicious cakes and pastries. If you love to swim, they have an outdoor swimming pool in the hotel. Or how about capping the day at the spa? They offer a variety of treatments such as massages, body scrubs and body treatment. Indira Gandhi International airport is only a few minutes away from Andaz Delhi. Some of the bedrooms feature a seating area where you can relax after a long day. Inside, you’ll find the television with cable channels, comfortable beds, toiletries and bathrobes, slippers and coffee facilities to kick-start your day. There are two restaurants that serve Indian, European and International cuisines. There is an outdoor pool, a perfect spot for an early evening swim; and the spa facilities help you de-stress. They also have a fitness center and a personal trainer may be available. Activities available in the hotel include broadcasted live sports events and live performances. The rooftop infinity pool and the elegant accommodations make Roseate House one of the best hotels situated 10 minutes from Delhi International Airport. They have a terrace suite with the best views outside. All guest rooms are furnished with state-of-the-art amenities including a workstation, super comfortable couch, a four-fixture bathroom and a flat-screen TV. If you love Indian food, the hotel has an exclusive Indian restaurant that serves a variety of Indian dishes. The rooftop lounge is Japanese-inspired. 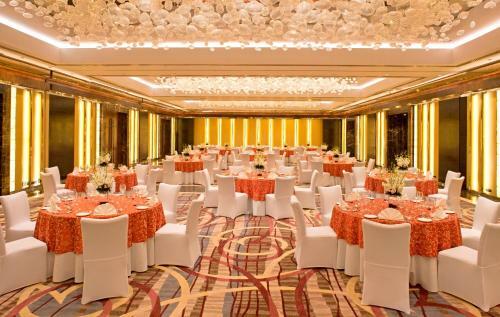 They also offer themed dinners, happy hours, live performances, banquet facilities and kids facilities. If you love to explore New Delhi, arrange a car rental through Hotel Viva Palace and ask for tour recommendations. Frequented by tourists are the Qutub Minar, Gandhi Smriti, Rashtrapati Bhavan and Gurudwara Bangla Sahib. The airport is only a few minutes away from the hotel. 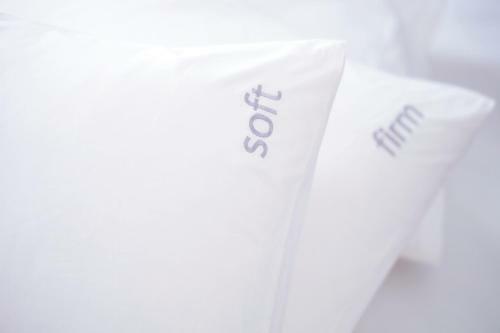 Guest amenities include free wifi, a closet, toiletries, a flat-screen TV and air-conditioned rooms. They have a restaurant that serves Indian, Chinese and other Asian cuisines. Tea is also served. A special diet is available upon request. The hotel is also furnished with family rooms, a shared lounge area, a business center and a beautiful terrace. Holiday Inn is close to the airport. All air-conditioned rooms are equipped with a TV, private bathroom with toiletries, a seating area, and an iPod docking station. 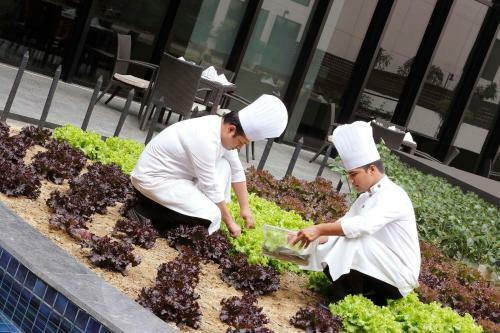 The hotel offers a variety of dining options to guests including Italian cuisines. Have a few drinks at The Hangar or take a dip in the rooftop swimming pool. You can also use the steam room, get a massage, stay fit at the gym, buy stuff at the gift shops or have some groceries delivered to your doorstep. Other hotel services include currency exchange, 24-hour front desk, lockers, airport transfers, a tour desk and dry cleaning. Some of the guest rooms at the Aloft Hotel offer beautiful pool views. All rooms are equipped with a TV, desk, seating area and a private bathroom. A continental breakfast is included with each accommodation. Activities that you can do in the hotel include swimming in the outdoor pool, playing billiards, watching your favorite movies, dining at the seafood restaurant, relaxing in the garden, hitting the gym, drinking during happy hours, attend an evening entertainment or live music performances or watch broadcasted sports events. Kids facilities are also available at this five-star hotel. They are conveniently located near the Delhi International Airport. Aerocity Hotel offers single rooms, deluxe and luxury triple room accommodations to its guests. 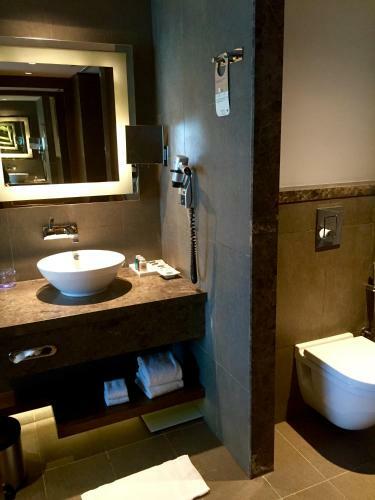 All rooms have a private bathroom, a TV, a desk and comfortable beds. Pets are allowed here. Although they offer just the basic amenities, the hotel has a good staff and clean guest rooms. Wifi is available in public areas and parking is free. They have a spa, family rooms and a restaurant inside the hotel. Other services include a tour desk, room service, currency exchange, airport transfers, and a 24-hour front desk. Also, Aerocity Hotel is only six minutes from the airport. Taurus Sarovar Portico is conveniently located near the airport. Bedrooms are furnished with contemporary decor, a safety deposit box, a private bathroom and a TV. Guests have the option to dine at restaurants offering a variety of Punjabi dishes and other cuisines. Also, if you want to see popular attractions, the hotel can arrange that for you. A honeymoon suite is also available for couples. The hotel has secure parking, a bar, VIP room facilities, family rooms, a fitness center and a coffee shop. They also have a business center and photocopying services for guests with business needs. Address: IGI Airport Road, N.H-08, Mahipalpur Extn. To maximize your stay in New Delhi, take time to make an itinerary. This will be your guide to popular attractions to visit, close to the airport. You may also ask the hotel staff if you’re not familiar with the place. Most of the hotels we’re recommending offer a tour desk and some have car rentals. Just make sure you get a map so don’t get lost when traveling. Otherwise, you can just explore the airport and visit shops or restaurants. Don’t worry, they have everything you need – souvenir shops, fashion accessories, electronics, food, clothing, wines, toys, cosmetics, watches and even perfumes. They have all the conveniences that you need.